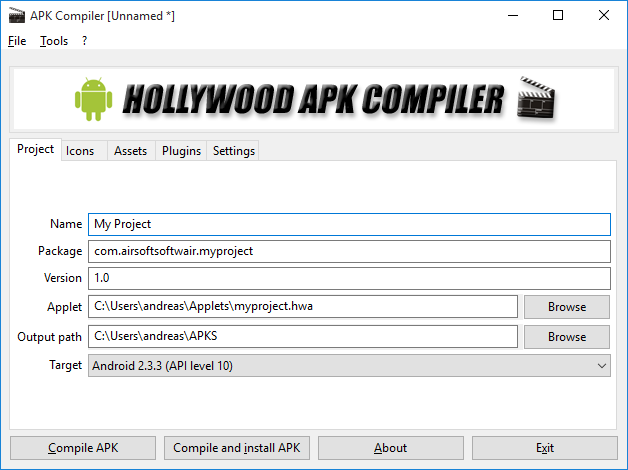 The Hollywood APK Compiler allows you to compile your Hollywood applets as stand-alone APK files that can be published on the Google Play Store or distributed manually. Converting a Hollywood applet into an APK file is very easy and convenient and takes just a single mouse click. It is also possible to link Hollywood plugins into the APK so that there are no external dependencies at all. 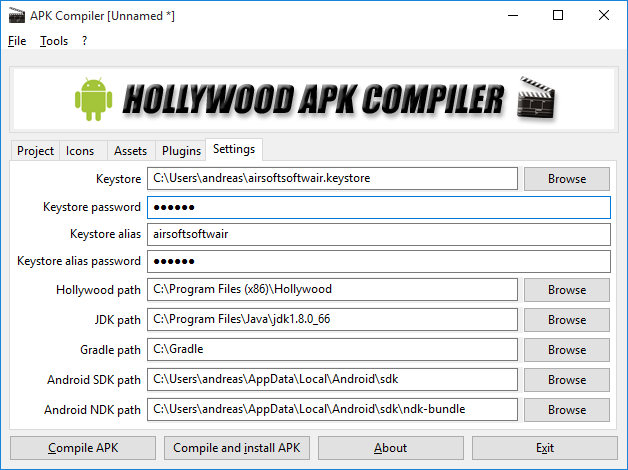 The Hollywood APK Compiler is available for Microsoft Windows and requires Hollywood and Android Studio with the Android SDK and NDK, both of which are available for free download from Google.